As the early picture books come into play, introducing actions and simple stories, it may still be possible for all family members to read books in any language, translating them out loud. But as language further develops and stories become more complex, proper translation “on the fly” becomes too hard, or at the very least slows down the rhythm of the story. Separate sets of books for each language to be read by different relatives accordingly, offer one solution and are certainly useful. But naturally, single-language books prevent the sharing of the same stories among all members of the family. Separate micro-cultures may develop around each language, and many opportunities to make connections between the languages are lost. 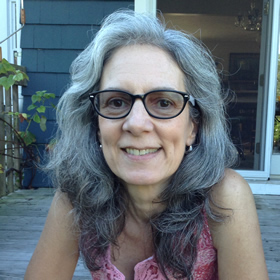 Why is it important for families to share the same stories? Good books are read many times and become iconic in families. Play, intonation, rhythm, repetition, movement, and affection expressed through contact, are just some of the elements that may amplify the enjoyment of each story. Lively emphasis on certain words or story points becomes anticipated and expected, adding to the familiarity and shared intimacy of reading something together again and again. Being able to do this with everyone regardless of language, is rewarding for the child and the family, and becomes a building block of each unique family culture. Bilingual books also help adults with their own vocabulary building and reinforcement of their non-dominant language. While they may not be enough to serve as a formal language teaching tool, they are helpful for learning a language up to a rudimentary level and for understanding cultural norms in a non-threatening way. Depending on each reader’s motivation and curiosity, it is possible to use dual text books to expand knowledge of the non-dominant language. In addition, parents who choose to raise their children in more than one language often face social barriers and resistance from older relatives. “How is this child ever going to learn English (or whatever the dominant language may be)?” may become a frequent question. Bilingual books may help alleviate these concerns. In schools, bilingual books also have multiple uses. While vocabulary building, language teaching and reinforcement are the most obvious, confirming the value of languages and creating an environment of positive acceptance by teachers and peers may be just as important. Children’s natural eagerness to fit in with their peers motivates them to learn desirable skills, but also to abandon anything that is perceived as unpopular by their reference group. Teachers can use bilingual books to debunk myths and misperceptions about foreign cultures and languages, and to emphasize the positive contributions of all countries and groups. We know that the benefits of speaking more than one language are many. But it is important that children themselves buy into this knowledge. 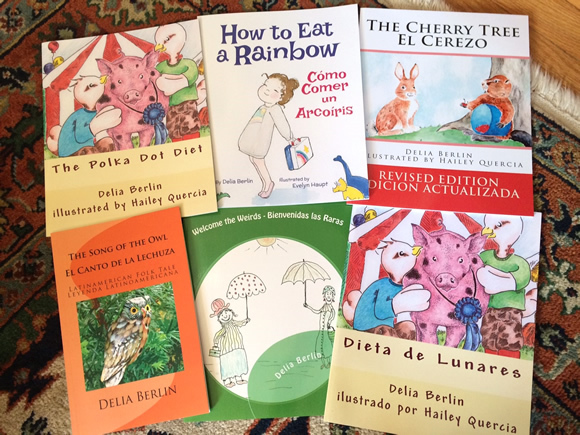 Bilingual books open the door to conversations about bilingualism and its significant pragmatic advantages. Usefulness when traveling and to help others with translations are clear and practical ways of explaining the value of additional languages. Bilingual books about different countries or cultures can be helpful to illustrate these advantages. In spite of recent movements sparked by anxiety about immigration and globalization, people will continue to travel and to enjoy increasing interactions with the rest of the world. We need to raise children equipped to compete in a rapidly changing environment, and to be able to cope with this change. 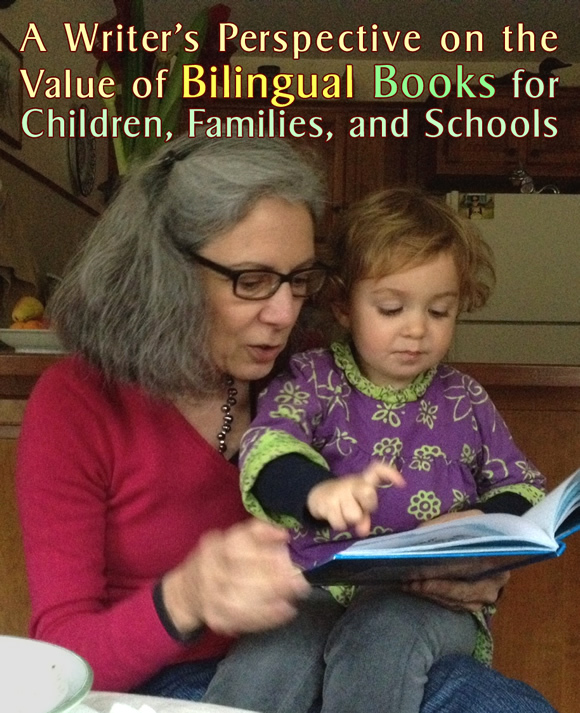 Bilingualism is a start, and bilingual books are a valuable tool to succeed in this journey. How about you? Do you make use of bilingual books in your family or school? How? I absolutely agree with the above article as I’m myself am multilingual and currently in the process of sharing my skill with my daughter. I have been reading to her in both English and Polish since she was born, some even called me crazy but as I’m looking at her now I can see it was worth it. She is only 3 years old but I can see tremendous improvement in her vocabulary in both languages, as she is able to translate on the spot from one language to another if she realizes that the listener is not understanding. To my surprise Eliza gets bored with one-two sentence books so I started reading to her books for 7+. I am determined to carry on with my language quest! Congratulations and best wishes on your bilingual parenting adventure! I’m sure your daughter’s cognitive development has already made valuable and permanent gains thanks to your decision. Any additional language is a gift for life. I also believe that, in addition to languages, most early exposures that challenge pre-learned norms expand cognitive abilities. In this context, I encourage exploration of all the opportunities that may present themselves, including music, dance, sports, math and board games, animal friendships, and timeless practical crafts such as cooking, carpentry, knitting and gardening. It is also important to avoid limiting the repertoire to stereotypical activities, in order for boys to fully develop their nurturing potential, and for girls to acquire enough mechanical skills for self-sufficiency. Sometimes these aspects of development get stunted by gender-typed books, games, and adult expectations. All the best to you and feel free to contact me via my website (http://www.deliaberlin.com) anytime. Previous post: Guest Post: Yes, You Will Have Haters. Keep Speaking to Your Kids In the Minority Language Anyway.